You've now added Counts Kustoms to your itinerary. Get outdoors at Red Rock Canyon National Conservation Area and Adrenaline & Extreme Tours. You'll explore and learn at The Mob Museum and The Neon Museum. Explore Las Vegas' surroundings by going to Spring Mountains Visitor Center (in Mount Charleston) and Willow Beach (in Fort Mohave). Spend the 3rd (Tue) riding across the waves with a waterskiing or jet-skiing adventure. Next up on the itinerary: shop like a local with The Strip, don't miss a visit to Bellagio Fountains, look for all kinds of wild species at Lake Mead National Recreation Area, and admire the natural beauty at Bellagio Conservatory & Botanical Gardens. To find other places to visit, reviews, more things to do, and tourist information, you can read our Las Vegas day trip planner . If you are flying in from United Kingdom, the closest major airports are McCarran International Airport and Laughlin Bullhead International Airport. In September in Las Vegas, expect temperatures between 39°C during the day and 25°C at night. Cap off your sightseeing on the 5th (Thu) early enough to go by car to Death Valley National Park. On the 6th (Fri), make a trip to Ashford Mill Ruins, steep yourself in history at Harmony Borax Works, then explore the striking landscape at Zabriskie Point, then get engrossed in the history at The Ranch at Furnace Creek, and finally explore the activities along Badwater Basin. To find reviews, where to stay, maps, and more tourist information, go to the Death Valley National Park trip planner . Traveling by car from Las Vegas to Death Valley National Park takes 2.5 hours. Alternatively, you can take a bus. Plan for a bit cooler nights when traveling from Las Vegas in September since evenings lows in Death Valley National Park dip to 20°C. Cap off your sightseeing on the 6th (Fri) early enough to go by car to Los Angeles. Kick off your visit on the 7th (Sat): don't miss a visit to Santa Monica Pier, wander the streets of Abbot Kinney Boulevard, tour the pleasant surroundings at Venice Beach and Boardwalk, then wander the streets of Montana Avenue, and finally don't miss a visit to Third Street Promenade. 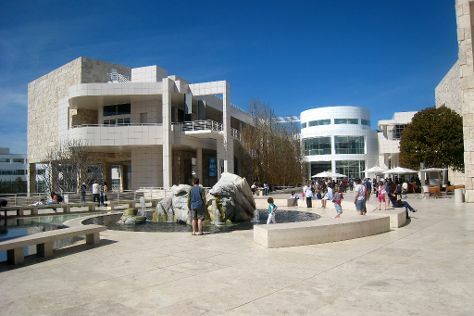 On the next day, examine the collection at The Getty Center, then explore the world behind art at Hammer Museum, then look and learn at Griffith Observatory, and finally appreciate the extensive heritage of Hollywood Walk of Fame. To find photos, other places to visit, more things to do, and other tourist information, you can read our Los Angeles day trip planning website . Getting from Death Valley National Park to Los Angeles by car takes about 4.5 hours. Other options: do a combination of car, bus, and train; or do a combination of bus and flight. While traveling from Death Valley National Park, expect a bit cooler days and about the same nights in Los Angeles, ranging from highs of 34°C to lows of 22°C. Wrap up your sightseeing on the 8th (Sun) early enough to drive to San Diego. Start off your visit on the 10th (Tue): appreciate the extensive heritage of Old Town San Diego State Historic Park, pause for some photo ops at Cabrillo National Monument, and then get a taste of the local shopping with Gaslamp Quarter. Here are some ideas for day two: examine the collection at USS Midway Museum and then take in the exciting artwork at Spanish Village Art Center. To find ratings, reviews, photos, and tourist information, refer to the San Diego trip itinerary planning app . Drive from Los Angeles to San Diego in 2.5 hours. Alternatively, you can take a bus; or fly. While traveling from Los Angeles, expect a bit cooler days and about the same nights in San Diego, ranging from highs of 30°C to lows of 23°C. On the 11th (Wed), wrap the sightseeing up by early afternoon so you can travel to Calipatria. Calipatria is a city in Imperial County, California. Your day-by-day itinerary now includes Salvation Mountain. On the 12th (Thu), explore the fascinating landscape at Glamis Sand Dunes and then take in the spiritual surroundings of Salvation Mountain. To find where to stay, reviews, and more tourist information, refer to the Calipatria online day trip planner . Use the Route module to find suitable travel options from San Diego to Calipatria. Traveling from San Diego in September, you will find days in Calipatria are much warmer (45°C), and nights are a bit warmer (27°C). Finish your sightseeing early on the 12th (Thu) to allow enough time to travel to Phoenix. Phoenix is the capital and most populous city of the U.S. On the 12th (Thu), mingle with the ghosts of the past at Goldfield Ghost Town, then get a taste of the local shopping with Old Town Scottsdale, and then browse the exhibits of Desert Botanical Garden. Keep things going the next day: get engrossed in the history at Heard Museum, then see the interesting displays at Musical Instrument Museum, and then take a pleasant ride with a tour on horseback. For reviews, traveler tips, photos, and other tourist information, go to the Phoenix trip itinerary builder website . You can drive from Calipatria to Phoenix in 4 hours. Another option is to fly. The time zone difference when traveling from Calipatria to Phoenix is 1 hour. In September, daily temperatures in Phoenix can reach 43°C, while at night they dip to 30°C. Wrap up your sightseeing on the 14th (Sat) early enough to drive to Grand Canyon National Park. On the 14th (Sat), get great views at Lookout Studio, see the interesting displays at Kolb Studio, then explore the stunning scenery at Grand Canyon South Rim, then trek along South Kaibab Trail, and finally get great views at Mather Point. On your second day here, add some entertainment to your itinerary with Hopi House, then trek along Rim Trail, then take in breathtaking views at Yavapai Point, and finally get curious at Yavapai Geology Museum. To find traveler tips, reviews, where to stay, and other tourist information, refer to the Grand Canyon National Park road trip planner. Traveling by car from Phoenix to Grand Canyon National Park takes 4 hours. Traveling from Phoenix in September, things will get cooler in Grand Canyon National Park: highs are around 28°C and lows about 7°C. Finish up your sightseeing early on the 16th (Mon) so you can go by car to Monument Valley. Monument Valley is a region of the Colorado Plateau characterized by a cluster of vast sandstone buttes, the largest reaching 1000ft above the valley floor. On the 16th (Mon), see the top attractions with Sightseeing Tours, contemplate the long history of Bluff Fort Historic Site, then don't miss a visit to Mexican Hat Rock Formation, and finally examine the collection at Goulding’s Trading Post Museum.. Here are some ideas for day two: trot along with a tour on horseback, delve into the distant past at Navajo National Monument, then look for gifts at Navajo Jewelry and Design, and finally explore the striking landscape at Monument Valley Navajo Tribal Park. Use Inspirock's suggestions to plan your Monument Valley trip and find the best activities and attractions for your vacation. Getting from Grand Canyon National Park to Monument Valley by car takes about 3.5 hours. Traveling from Grand Canyon National Park in September, things will get somewhat warmer in Monument Valley: highs are around 32°C and lows about 13°C. Wrap up your sightseeing by early afternoon on the 18th (Wed) to allow enough time to drive to Santa Fe. Your cultural itinerary includes sights like Nedra Matteucci Galleries and Keshi. Appreciate the collections at San Miguel Chapel and Tesuque Glass Works. And it doesn't end there: appreciate the extensive heritage of Canyon Road, shop like a local with Rainbow Man, see the interesting displays at New Mexico History Museum, and take in the spiritual surroundings of Loretto Chapel. For photos, ratings, where to stay, and other tourist information, read our Santa Fe travel route planner. Traveling by car from Monument Valley to Santa Fe takes 7 hours. Alternatively, you can do a combination of car and flight. September in Santa Fe sees daily highs of 31°C and lows of 13°C at night. Wrap up your sightseeing on the 21st (Sat) to allow time to drive to Roswell. Famed as the site of a purported UFO crash in 1947, the Roswell of today offers much more than alien research opportunities. Kick off your visit on the 22nd (Sun): get to know the fascinating history of Downtown Historic District, then stop by Alien Zone Area 51, then see the interesting displays at International UFO Museum and Research Center, and finally see the sky in a new way at Roswell Museum & Art Center. For ratings, reviews, other places to visit, and tourist information, use the Roswell trip itinerary planning app . Getting from Santa Fe to Roswell by car takes about 4.5 hours. Other options: fly; or do a combination of shuttle, flight, and car. In September, Roswell is somewhat warmer than Santa Fe - with highs of 36°C and lows of 19°C. Wrap up your sightseeing on the 22nd (Sun) early enough to travel to Houston. Your day-by-day itinerary now includes Space Center Houston. Kick off your visit on the 23rd (Mon): see the interesting displays at Space Center Houston and then browse the exhibits of Cockrell Butterfly Center. To find traveler tips, where to stay, photos, and tourist information, you can read our Houston trip planner . Traveling by flight from Roswell to Houston takes 6.5 hours. Alternatively, you can do a combination of car and flight; or drive. The time zone changes from Mountain Standard Time to Central Standard Time, which is usually a 1 hour difference. Traveling from Roswell in September, expect somewhat warmer with lows of 28°C in Houston. Wrap up your sightseeing on the 23rd (Mon) early enough to drive to Austin. Your day-by-day itinerary now includes Prohibition Creamery as well as Mean-Eyed Cat. 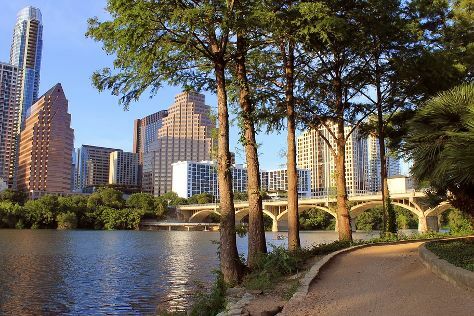 On the 24th (Tue), hike along Lady Bird Lake Hike-and-Bike Trail, get engrossed in the history at LBJ Presidential Library, get engrossed in the history at Bullock Texas State History Museum, then get a sense of history and politics at Texas State Capitol, and finally join in the after-dark buzz at Mean-Eyed Cat. Keep things going the next day: take in the views from Congress Avenue Bridge / Austin Bats, don't miss a visit to South Congress Avenue, take in the natural beauty of Barton Springs Pool, then get a taste of local nightlife at 6th Street, then shop like a local with Wild About Music, and finally admire the striking features of The Driskill. To find maps, where to stay, more things to do, and other tourist information, use the Austin attractions planner. Drive from Houston to Austin in 3 hours. Alternatively, you can take a bus; or fly. In September, daily temperatures in Austin can reach 39°C, while at night they dip to 25°C. Finish your sightseeing early on the 26th (Thu) to allow enough time to travel to Oklahoma City. Oklahoma City, known to many as the "Big Friendly," represents the political, cultural, and economic engine of the state of Oklahoma. On the 26th (Thu), take a stroll through Bricktown, tour the pleasant surroundings at Oklahoma City Zoo, then explore the world behind art at National Cowboy & Western Heritage Museum, and finally appreciate the history behind Oklahoma City National Memorial & Museum. On the 27th (Fri), you'll have a packed day of sightseeing: admire nature's wide array of creatures at Tiger Safari Zoological Park, then get a new perspective on nature at Museum of Osteology, then get curious at Science Museum Oklahoma, and finally see the interesting displays at Oklahoma County Auto Trim and Mini Museum. To find photos, more things to do, ratings, and other tourist information, you can read our Oklahoma City road trip website . Fly from Austin to Oklahoma City in 4 hours. Alternatively, you can do a combination of flight and car; or drive. Expect little chillier temperatures when traveling from Austin in September; daily highs in Oklahoma City reach 36°C and lows reach 20°C. Finish your sightseeing early on the 28th (Sat) so you can travel to Keystone. Mount Rushmore National Memorial has been added to your itinerary. On the 5th (Sat), trek along Presidential Trail, then shop like a local with Warrior's Work & Ben West Gallery, then delve into the lush surroundings at Black Hills National Forest, and finally do a tasting at Prairie Berry Winery. Keep things going the next day: take a memorable drive along Iron Mountain Road, view the masterpieces at Art Expressions, then explore the striking landscape at Needles Eye Tunnel, and finally learn more about the world around you at Mammoth Site of Hot Springs. Plan trip to Keystone with our itinerary maker to find out where to go and what to do. Traveling by flight from Oklahoma City to Keystone takes 6 hours. Alternatively, you can drive; or take a bus. Traveling from Oklahoma City to Keystone, you'll gain 1 hour due to the time zone difference. Traveling from Oklahoma City in October, expect nights in Keystone to be little chillier, around 1°C, while days are cooler, around 16°C. On the 7th (Mon), wrap the sightseeing up by early afternoon so you can travel to Denver. Start off your visit on the 30th (Mon): browse the exhibits of Butterfly Pavilion and Insect Center, shop like a local with 16th Street Mall, look and learn at Denver Museum of Nature & Science, then admire the natural beauty at Denver Botanic Gardens, and finally sample the fine beverages at Stranahan's Colorado Whiskey Tour. On the next day, steep yourself in history at Union Station, explore the world behind art at Denver Art Museum, then get interesting insight from Tours, and finally explore and take pictures at Dinosaur Ridge. Ask Inspirock to suggest an itinerary and make planning a trip to Denver fast, fun, and easy. You can fly from Keystone to Denver in 3.5 hours. Other options are to do a combination of car and flight; or drive. Prepare for a bit warmer weather when traveling from Keystone in September: high temperatures in Denver hover around 30°C and lows are around 13°C. Wrap up your sightseeing on the 1st (Tue) to allow time to take a bus to Colorado Springs. On the 2nd (Wed), get to know the fascinating history of Old Colorado City Historic District, delve into the distant past at Manitou Cliff Dwellings, and then let the river carry you with a rafting and tubing tour. Get ready for a full day of sightseeing on the next day: brush up on your military savvy at National Museum of World War II Aviation, look for all kinds of wild species at North Cheyenne Canon Park and Starsmore Discovery Center, then look for all kinds of wild species at Colorado Wolf and Wildlife Center, and finally see the interesting displays at Rocky Mountain Dinosaur Resource Center. To see where to stay, ratings, other places to visit, and more tourist information, refer to the Colorado Springs trip planner . Take a bus from Denver to Colorado Springs in an hour. Alternatively, you can drive; or fly. In October, plan for daily highs up to 22°C, and evening lows to 4°C. On the 4th (Fri), wrap the sightseeing up by early afternoon so you can travel to Salt Lake City. Kick off your visit on the 4th (Fri): engage your brain at Joseph Smith Memorial Building. Keep things going the next day: view the masterpieces at Art at the Main Gallery, get a new perspective on nature at Natural History Museum of Utah, then explore the stunning scenery at Big Cottonwood Canyon, then explore and take pictures at Temple Square, and finally take in the spiritual surroundings of Salt Lake Temple. To see ratings, where to stay, reviews, and more tourist information, go to the Salt Lake City day trip tool . Fly from Colorado Springs to Salt Lake City in 3 hours. Alternatively, you can do a combination of shuttle and flight; or drive. Traveling from Colorado Springs in October, plan for somewhat warmer nights in Salt Lake City, with lows around 9°C. Finish your sightseeing early on the 6th (Sun) so you can travel to Yellowstone National Park. Kick off your visit on the 7th (Mon): witness a stunning natural landmark at Lone Star Geyser, witness a stunning natural landmark at Grand Prismatic Spring, take in the natural beauty of Old Faithful, then take in the natural beauty of Castle Geyser, and finally witness a stunning natural landmark at Upper Geyser Basin. On the 8th (Tue), you'll have a packed day of sightseeing: explore the wealth of natural beauty at Yellowstone National Park. To see more things to do, where to stay, reviews, and more tourist information, read our Yellowstone National Park trip website . You can do a combination of flight and car from Salt Lake City to Yellowstone National Park in 3.5 hours. Other options are to drive; or do a combination of flight, shuttle, and car. Expect cooler temperatures when traveling from Salt Lake City in October; daily highs in Yellowstone National Park reach 9°C and lows reach -4°C. Finish up your sightseeing early on the 8th (Tue) so you can travel to Seattle. On the 9th (Wed), see the interesting displays at The Museum of Flight, get a taste of the local shopping with Pioneer Square, then view the masterpieces at Glasshouse Studio, and finally enjoy the sand and surf at Alki Beach. Here are some ideas for day two: enjoy breathtaking views from Space Needle, explore the world behind art at Chihuly Garden and Glass, then look for all kinds of wild species at Mercer Slough Nature Park, and finally cast your line with a fishing tour. For ratings, photos, where to stay, and tourist information, read Seattle online day trip planner . Traveling by combination of car and flight from Yellowstone National Park to Seattle takes 5.5 hours. Alternatively, you can do a combination of bus, shuttle, and flight; or drive. The time zone difference when traveling from Yellowstone National Park to Seattle is minus 1 hour. Traveling from Yellowstone National Park in October, expect nights in Seattle to be much hotter, around 11°C, while days are a bit warmer, around 20°C. Wrap up your sightseeing by early afternoon on the 11th (Fri) to allow enough time to travel to Portland. On the 19th (Sat), you'll have a packed day of sightseeing: contemplate the long history of Pittock Mansion, admire the natural beauty at Portland Japanese Garden, stop by Powell's City of Books, then admire the sheer force of Multnomah Falls, and finally steep yourself in history at Columbia River Highway. To see more things to do, ratings, maps, and more tourist information, refer to the Portland sightseeing planner. Traveling by flight from Seattle to Portland takes 3 hours. Alternatively, you can drive; or take a bus. In October in Portland, expect temperatures between 22°C during the day and 11°C at night. Finish your sightseeing early on the 21st (Mon) so you can travel to Honolulu. 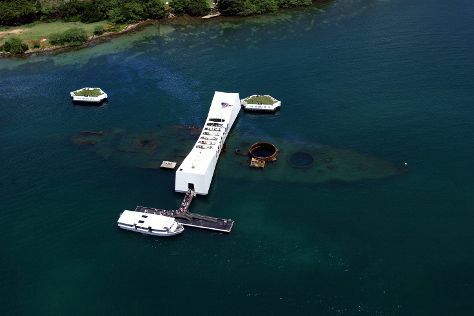 On the 14th (Mon), kick back and relax at Waikiki Beach and then explore the different monuments and memorials at USS Arizona Memorial. On the 15th (Tue), you'll have a packed day of sightseeing: stroll through Sunset Beach Park, take a stroll around Polynesian Cultural Center, and then trek along Manoa Falls. To see where to stay, other places to visit, ratings, and tourist information, you can read our Honolulu trip maker . You can fly from Portland to Honolulu in 7.5 hours. The time zone difference when traveling from Portland to Honolulu is minus 2 hours. Traveling from Portland in October, things will get much warmer in Honolulu: highs are around 36°C and lows about 27°C. On the 16th (Wed), you'll have the morning to explore before heading off to Redwood National Park. Start off your visit on the 17th (Thu): stroll through Redwood National Park. Get ready for a full day of sightseeing on the 18th (Fri): kick back and relax at Enderts Beach. To find traveler tips, photos, and tourist information, read our Redwood National Park trip itinerary maker tool . Explore your travel options from Honolulu to Redwood National Park with the Route module. The time zone changes from Hawaii Standard Time to Pacific Standard Time, which is usually a 2 hour difference. Prepare for much colder weather when traveling from Honolulu in October: high temperatures in Redwood National Park hover around 20°C and lows are around 9°C. Finish up your sightseeing early on the 18th (Fri) so you can travel to Yosemite National Park. Start off your visit on the 19th (Sat): explore the striking landscape at Glacier Point, then make a trip to Olmsted Point, then trek along Tuolumne Meadows, and finally contemplate the waterfront views at Tenaya Lake. 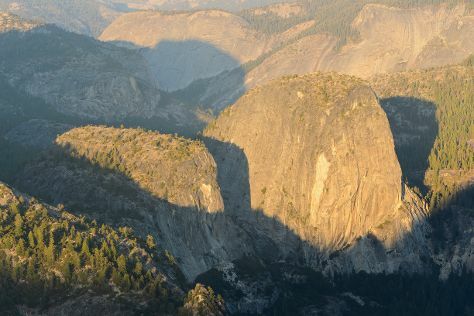 Get ready for a full day of sightseeing on the 20th (Sun): explore the striking landscape at El Capitan, take your sightseeing to a higher altitude at Cathedral Beach Picnic Area, then take in the dramatic scenery at Vernal Fall, then take in the exciting artwork at Ansel Adams Gallery, and finally take in the dramatic scenery at Yosemite Falls. To find traveler tips, other places to visit, reviews, and tourist information, read our Yosemite National Park itinerary builder tool . The Route module can help you plan travel from Redwood National Park to Yosemite National Park. Expect slightly colder evenings in Yosemite National Park when traveling from Redwood National Park in October, with lows around -2°C. Finish up your sightseeing early on the 20th (Sun) so you can go by car to San Francisco. You've now added Musee Mecanique to your itinerary. Kick off your visit on the 28th (Mon): engage your brain at Exploratorium, go for a walk through Fisherman's Wharf, then head off the coast to Alcatraz Island, and finally see the interesting displays at Musee Mecanique. Keep things going the next day: enjoy the sand and surf at Marshall’s Beach, get interesting insight from Tours, then see the interesting displays at Cable Car Museum, and finally take a stroll through Union Square. To find reviews, maps, more things to do, and other tourist information, refer to the San Francisco road trip tool . You can drive from Yosemite National Park to San Francisco in 4 hours. Alternatively, you can do a combination of car and flight; or do a combination of bus and flight. When traveling from Yosemite National Park in October, plan for a bit warmer days and warmer nights in San Francisco: temperatures range from 26°C by day to 15°C at night. Wrap up your sightseeing on the 29th (Tue) to allow time to travel back home. Kick off your visit on the 23rd (Wed): learn about all things military at National Museum of the Pacific War, then learn about winemaking at Grape Creek Vineyards on Main, then learn about winemaking at Grape Creek Vineyards Fredericksburg, and finally steep yourself in history at Mission San Jose. On your second day here, get engrossed in the history at The Alamo, then Head underground at Natural Bridge Caverns, then don't miss a visit to Institute of Texan Cultures, and finally take in the architecture and atmosphere at San Fernando De Bexar Cathedral. Take the guesswork out of planning a San Antonio vacation by using our trip itinerary maker. Traveling by flight from San Francisco to San Antonio takes 6 hours. Alternatively, you can do a combination of flight and bus; or drive. You'll lose 2 hours traveling from San Francisco to San Antonio due to the time zone difference. Prepare for somewhat warmer weather when traveling from San Francisco in October: high temperatures in San Antonio hover around 36°C and lows are around 20°C. Wrap up your sightseeing by early afternoon on the 25th (Fri) to allow time for travel back home.